My book-buying moratorium has only five days to go. It’s my birthday this week and that has made the wait easier. 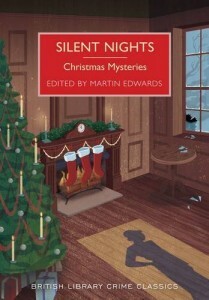 My daughter gave me Silent Nights: Christmas Mysteries, edited by Martin Edwards, which I had been longing for. And what a splendid collection it is, well worth the wait. Of course there are a few old favourites: Conan Doyle’s ‘The Blue Carbunkle,’ Chesterton’s ‘The Flying Stars’, but there are also stories that have never been reprinted since they first appeared. I haven’t read them all yet, but so far there is not a single dud. Edgar Wallace’s ‘Stuffing,’ for example, is plotted with a deftness worthy of O. Henry. I wasn’t surprised to receive Silent Nights – in fact, I’d have been surprised not to get it. 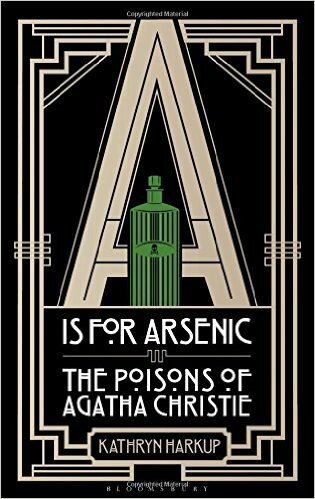 But the book that my husband gave me, A is for Arsenic: The Poisons of Agatha Christie, by Katherine Harkup, is an unexpected treat. Harkup is herself a chemist and, even just flicking through the book, I can see that she knows what she is talking about. Dame Agatha was of course keen on poison as a means of committing murder and also knew her onions (or daffodil bulbs) since she qualified as a dispenser during WWI. 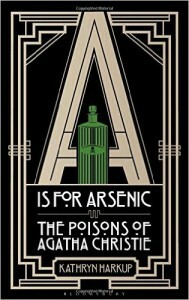 The book examines fourteen of the poisons that Christie used in her novels and some of the real-life cases that might have inspired her. It looks fascinating. Happy Birthday, Christine! Congratulations on the success of your book buying ban. I’m still going with mine. Only a few lapses so I’m pleased with the results so far, especially as I’ve been doing a bit of rereading lately. I’ve just finished reading Silent Nights too, a very enjoyable selection of the known & unknown, as you say. Thank you, Lyn. Glad you are pleased with the book buying ban. Me, too, though the TBR pile is still huge. Have a lovely Christmas and a New Year filled with good reading. Happy Birthday and best wishes for the New Year. I played hookey from work today, so I could sneak in some reading time in the tub. I thoroughly enjoyed your SECONDHAND HEART short story in the January 2016 copy of Ellery Queen’s Mystery Magazine. Thank you, Danny. Delighted to hear that you enjoyed ‘Second-hand Heart.’ Writing short stories is a bit like putting a message in a bottle – you never know where it’s going to end up. Glad this one reached you in Houston.